1) Well, definitely to see whether my customers are satisfied. Yeah, selling is one thing, but I like the buyers enjoy their purchase. 2) The trends and likes of customers. If you observed Malaysian kaftans, most of them are very colourful. Perhaps living a sunny Malaysia make us love cheery bright colours. I observe most of the purchase of batik kaftans to the USA and Europe tend to prefers subtle colours and less flamboyant design. Point taken. I will stock up on these design soon. 3) Spreading batik kaftan loves. It is gratifying to see other countries enjoy batik kaftans and its uniqueness. Even I myself enjoy other countries crafts and design such as the kimono for examples. 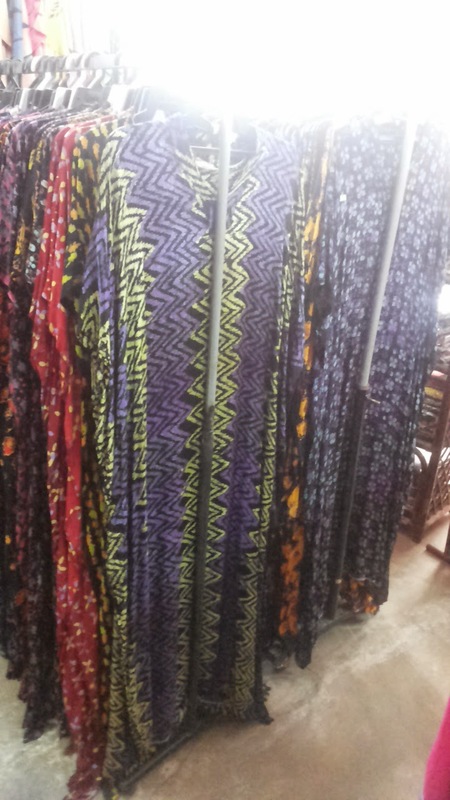 I have also discovered some additional new kaftans - full batik block technique applied to kaftans so the design would be fuller as well as decreasing the sheerness of the batik kaftans. I really like the contrast combination as well. What do you think? Will upload a few first for tryouts and if its a hit - will definitely stock up! Stay tune!